New PSP games and DLC are available on the PlayStation Store in North America this week. Hakuoki: Warriors of the Shinsengumi is available to purchase, and comes with a multitude of DLC to go along with it. The Store has also been updated with a number of themes to spice up your PSP. It’s been a while since new PSP content has been added to the store, but this week, PSP owners have a few new games to purchase from the North America PlayStation Store, including popular mobile title Jetpack Joyride. Final Fantasy Tactics: The War of the Lions can also be downloaded for free if you are a PlayStation Plus member. On the European PlayStation Store, gamers can download new PSP titles, PSOne classics and a new minis title. Past PSP titles have finally been given a digital release, including Killzone: Liberation. New content is available for the PSP on the European PlayStation Store this week, including FIFA 13 and Final Fantasy III. A new Minis title is available to download too. New PSP titles are available on the North American PlayStation Store this week – the first titles in quite a while. FIFA 13 and Final Fantasy III are available for download. You can also find a new PSOne Classic and price changes on a few Mini titles. Over 20 new PS Vita compatible PSOne classics have been added to the PlayStation Store in North America this week. Compatible titles include Reel Fishing, Ten Pin Alley and Harvest Moon: Back to Nature. A number of new PS Vita games are available on the European PlayStation Store this week, including Treasure Park and Zen Pinball 2. You can also find a new Minis bundle and some DLC in this week update. No new PSOne classics have been added to the store this week, however. There is no new content for the PS Vita or PSP in this week’s PlayStation Store update in North America. 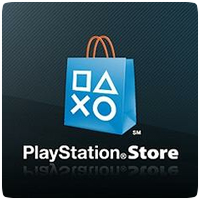 Instead, Sony has a sale on for a number of Minis titles, which have been reduced by up to 75%.